With summer finally here, cocktail sipping and day drinking become a staple whether you’re brunching or hosting a backyard bar-b-que. We hope you enjoy these modern twists to your favorite southern cocktails. Summer-time Twist: Sweet Tea, baby! This recipe offers a little kick to your sweet tea for those long days spent on the front porch (or the back deck, or inside, or anywhere really). Directions: Combine first 3 ingredients in a 2-qt. pitcher. Press mint leaves against sides of pitcher with back of spoon to release flavors. Stir in tea and bourbon. Serve over crushed ice. Garnish, to your liking. Traditionally served around the winter holidays, Brandy Milk Punch is a southern staple started in New Orleans. Directions: Stir together the confectioners’ sugar, milk, coffee, and the ice cream. Stir in the spirits. To serve, pour into ice-filled glasses and top with grated nutmeg. An Old-Fashioned is exactly as the name states, old-fashioned. Its simple blend of bourbon and citrus flavors is already perfect for southern summers, So how exactly can you put an new twist on this Louisville, Kentucky original? Here’s the twist: By adding Bacon! Bacon has been introduced into many cocktails, especially as of late. Since you’re probably already cooking it up for your grilled burgers, why not use it here? The Patterson House in Nashville creates a new take on an old cocktail by adding this American favorite. Directions: Combine all ingredients in a mixing glass with ice. Mix well. Finally, strain into an Old-Fashioned glass over one large ice cube. Garnish with skewered strips of bacon. 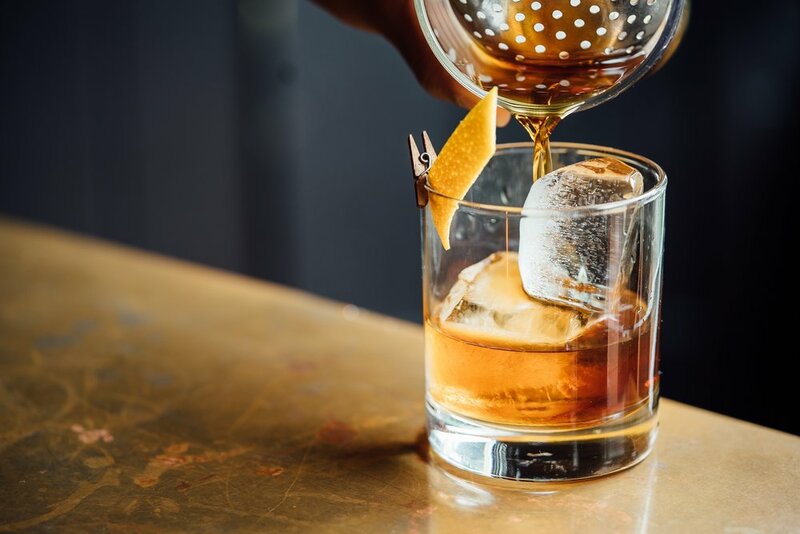 If cocktails had relatives, the Sazerac would be first cousins with the Old-Fashioned. Created in, and the official drink of, New Orleans, this drink has a more licorice undertone and is often described as boozy. Summer-time Twist: Make it a spritzer! This easy-to-make recipe swaps the smooth taste of cognac or rye whiskey with a refreshing, crisp update. Our tip: try a sparkling rosé garnished with berries for a girls night in. Directions: Add the sugar cube to a Champagne flute. Cover the sugar cube with Peychaud’s bitters and add the absinthe. Top with sparkling wine and stir with a bar spoon until the sugar is dissolved. Garnish with a long, skinny lemon twist. This New Orleans take on the gin fizz already has the makings of a perfect summer drink. 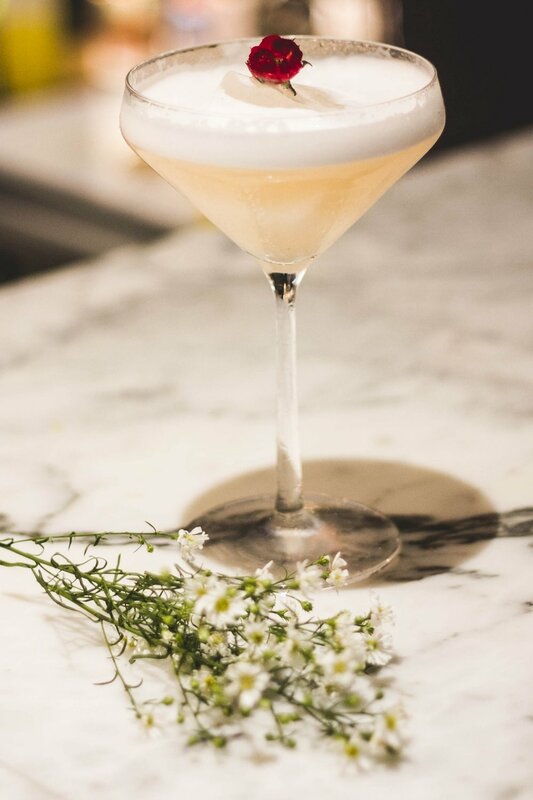 With varying citrus juices, mixed with the fresh taste of gin, paired with egg and cream leaves you quite refreshed. So what’s our summer-time Twist: Rosé all day! This Ramos Gin Fizz twist swaps out coconut milk, rhubarb syrup and -wait for it - rosé for the cream, simple syrup and soda; an undeniable flavor combo that screams summer. Directions: Fill a tall flute with the rosé and set aside. In a mixing tin, combine the gin, orange blossom water, egg white, coconut milk, lime juice, lemon juice, and rhubarb liqueur. Without adding ice, shake these ingredients well for a full 30 seconds. Add ice and shake again hard for another 30 seconds. Slowly double-strain the mixture into the prepped flute. Garnish with sliced strawberries. Champagne cocktails are perfect for any summer gathering, and the Seelbach cocktail, hailing from Louisville, Kentucky, is no exception. Although the origin story was found to be fake, it’s appeal is surely timeless. Summer-time Twist: let’s add some ginger! The Gingered Seelbach uses orange infused bourbon and ginger liqueur to spice up this beloved classic. Directions: Freeze a Champagne flute 10 minutes. Combine bourbon, ginger liqueur, and bitters in a cocktail shaker with ice. Cover with lid, and shake vigorously until thoroughly chilled. Strain into prepared Champagne flute. Top with desired amount of Champagne. Garnish with lemon peel twist. Serve immediately. This fruity, rum-filled New Orleans staple has a tropical flair that will leave you spinning (much like it’s namesake). You may be wondering how you would make this even more summer-y. Meet Rum Runner, Hurricane’s cousin from Islamorada, Florida. Again, this fruity, boozy drink is a refreshing addition to any summer day, but we absolutely love the Margaritaville® frozen take on this southern classic. Summer-time Twist: Just add ice and blend. This recipe (available on the official Margaritaville® site) is perfect a adult slushie. Directions: Fill ice reservoir with ice. Pour ingredients in glass jar. Concoct until smooth. Pour into a tall glass. Float the 151 Rum on top. Pour into your favorite glass. Garnish with lime wedge. Makes 2-3 drinks. It’s no surprise that another New Orleans original has graced this list. This creamy, minty drink has multiple variations (including milkshake form), but we’re going to make it lighter for these hot southern days. Summer-time Twist: hello vodka! 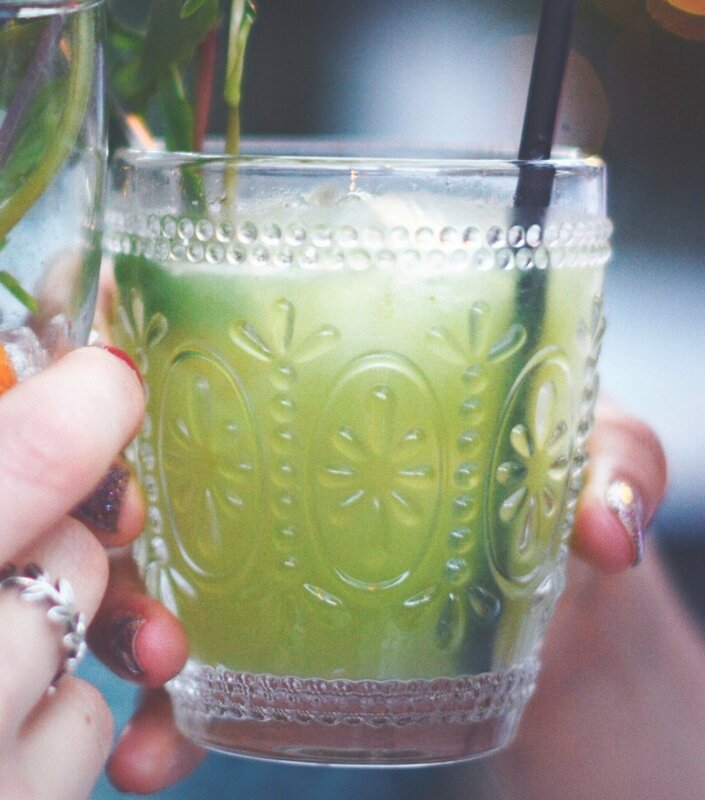 The Flying Grasshopper is a popular spin on this Louisiana classic. By swapping vodka for fresh cream, we lighten this drink up just a smidgen. Directions: Put the cracked ice into a mixing glass or jug and pour in the vodka and crème the menthe. Stir well and strain into a cocktail glass. Lastly, my all-time favorite southern beverage, the Alabama Slammer. It combines my favorite spirits and flavors in one glass. But how can we kick this cherished cocktail up a notch? Summer-time Twist: let’s spritz it! By following the below recipe, we can change the rich flavors of the traditional Alabama Slammer into a summer-ready spritzer. Directions: In a tall glass full of crushed ice, add Nielsen-Massey Orange Blossom Water. Adding it over ice helps to open the flavors even more. Pour in bourbon, sloe gin, and amaretto. Stir to combine. Top with club soda, garnish with orange wheel.